Everything you wanted to know about outdoor movies, but were afraid to ask. Learn how to make an outdoor movie night a success. Outdoor cinema systems are used for a wide range of events, both paid and free, each of them having their own peculiarities. Fundraising events are one of the most popular applications for outdoor movies. Schools and sporting clubs are always looking for fresh and innovative fundraising ideas. Outdoor movie events have proved to be both efficient fundraisers and highly entertaining activities. 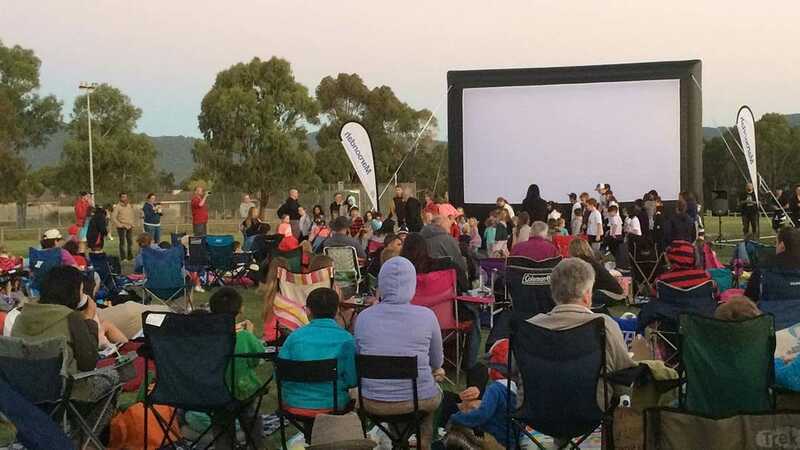 Their popularity is on the rise, which comes to no surprise: Regular fetes and BBQ have been around for many years, while outdoor movies are still a novelty. Planning a fundraiser? Do the math to decide whether to own the screen or to hire it. It depends on whether you are planning a one-of fundraiser or going to run a series of movie nights. It also depends on whether you could use the equipment for other activities. For example, schools are using projectors and audio video control systems on a regular basis. Sports venues organise holiday programs for kids, and movies can be incorporated in the program. Local government councils are always looking for new ways of engaging their local community. Outdoor movie brings the community together in a relaxed and happy environment. The gathering also provides an opportunity to communicate important information to the community. There are two major and specific issues that come into play when a local government body is involved. When an organizer wants to provide an event for the community on council owned property the demands by the council can be quite onerous and demanding. Equally when the council engages an outdoor cinema operator to provide the event, the council also will have certain demands to the operator. Event permission (Which will encompass things like security, water, first aid, lights, toilets, parking, neighbourhood consent, and sound). When an outdoor cinema operator is engaged by the council, the permits and certificates are probably not required. However, among the demands to the operators, there will be the requirement to organise security. Some council venues will not allow stakes placed in the ground so weights will be required for the screen. Generally electrical cables used at council events or on council property will need to be tagged and tested every 3 months. Up until recently, outdoor movie events have been screened only for larger community events. Now with smaller size outdoor inflatable movie screens, smaller events are possible in more compact areas. This is perfect for specific or ethnic/indigenous communities. Outdoor movie events really work for indigenous communities. Most of these communities are in remote areas far from civilization and modern amenities, including hardtop cinemas. Outdoor movies can be used to entertain, to provide training and to educate. Many of these communities are looking for creative ways of keeping the younger generation in a healthy and caring environment. Outdoor movies can greatly assist with this. The events need not be expensive. Apart from movies, the movie systems can be used for Blue Light Disco, showing live sport events, musical videos, and playing active computer games. An alternative to the typical outdoor movie event is the drive-in. The equipment required to screen the movie is the same as normal but the sound is broadcasted on FM so that everybody can receive the film’s soundtrack on their car radio, phone or most MP3 players with the FM radio. 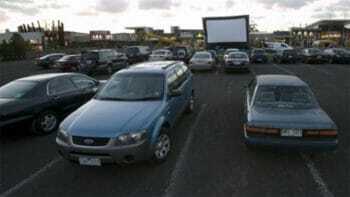 Drive-ins work particularly well in the cooler months and as a novelty to the normal outdoor movie event. The inflatable movie screen will be a big one, typically 10-12 metres wide with a skirt of about 2 metres, so everybody can see the movie. The projector will need an output of 6,500 to 10,000 ANSI lumens. Plan the parking layout to optimise attendance capacity. Four wheel drive vehicles need their own parking area so everybody could see the screen. 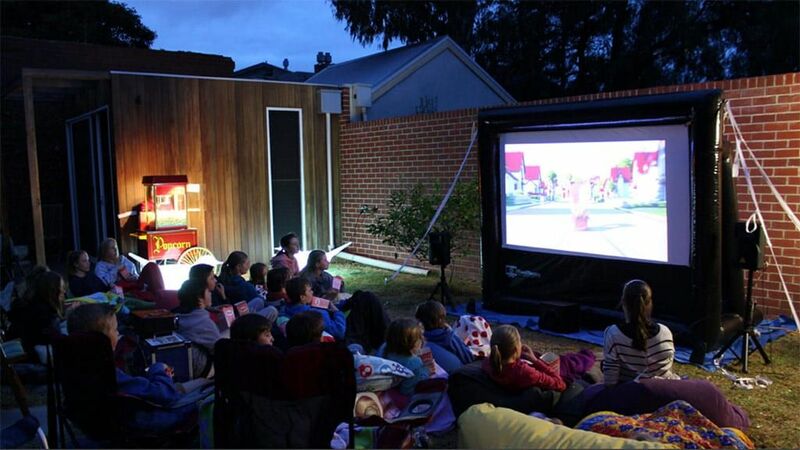 Backyard movies are the latest craze and a huge success. Backyard movie theatre can bring the experience of an outdoor movie event right to your doorstep, to the comfort of your own backyard. Thanks to the latest technology, outdoor movies have come down in size and can now be screened in the average backyard. It is possible to watch not only movies but also live sports and TV in your own backyard or perhaps maybe on your farm! Imagine sharing the event with Daisy or even Donald and all your friends and relatives! Think comfort and convenience. With your own backyard you can place whatever cosy bit of furniture! Why not take a couch outside and snuggle up to your loved one whilst the kids enjoy the fresh air and play active computer games. Invite your mates over and watch the big game live on the giant inflatable movie screen whilst enjoying the BBQ with cool refreshments. The big game could be followed by the movie of your choice. How cool is that! The possibilities are limitless. The new Backyard Movie System makes it very easy. It takes 3 minutes to inflate the screen. All you need is to connect the powered speakers, super bright HD projector and your own playback device – you are ready for hours of entertainment on the fresh air!